I may look like I know a lot about food but guys, I am just actually learning so much from the people I follow on Instagram! Take for example, Joey of @chichajo. I was watching her Stories when I saw the tagged online shop that sells seafood. Wow. I mean, who would think that you can now buy fresh seafood online, right? Search it, it's called @marvsboqueria.ph. You're welcome. Marvs sells different kinds of seafood! He also has an awesome package that includes prime beef steak, tiger prawns and salmon. It's quite costly; I'm still saving up for that so I can cook them on my birthday. Or maybe on our wedding anniversary. Anyway, I bought crab meat, tanigue fillet and steak and bakoko. I never encountered bakoko in the wet market so after I did a quick consultation with Mr. G, I decided to buy that. If you are following me on IG, you'd know that I made a lot of dishes using the 500-gram crab meat. 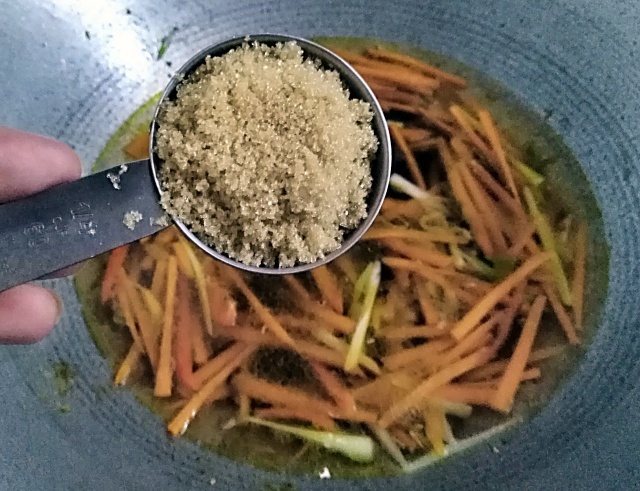 With tanigue, I made kilawin from some of it for my husband. 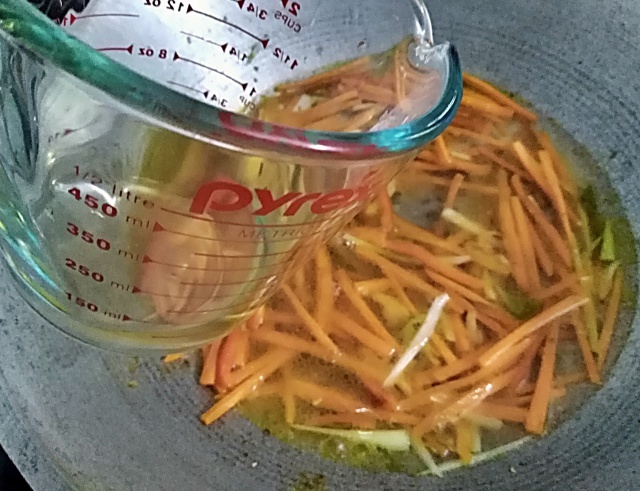 As for my new fishy friends, I made escabeche. My tongue loved the crunch of fried fresh fish that was perfectly enveloped with rich, savory sauce. 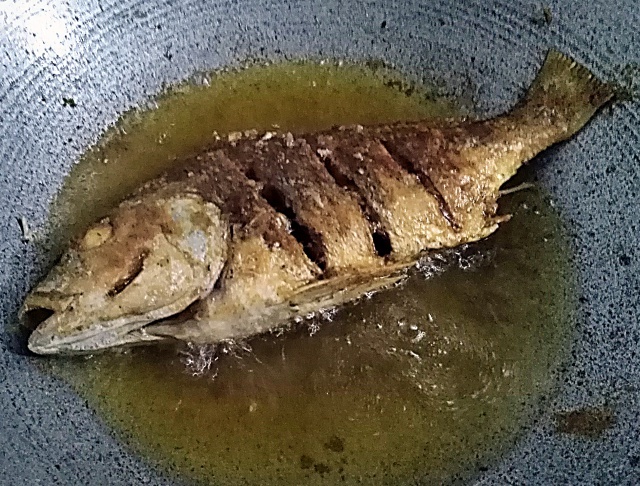 Fish may be generally a healthy food but with all the frying and rice consumption therewith, I don't think this dish is for the health-conscious hehe. Slice the fish with even spacing but not thoroughly that the bone will be cut. You know what I mean? It's so the serving of fish on your plate are all the same and looks neater. 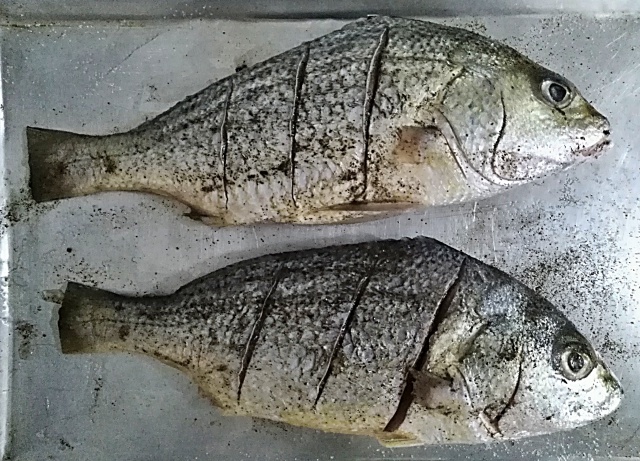 You can use other fish similar to bakoko. 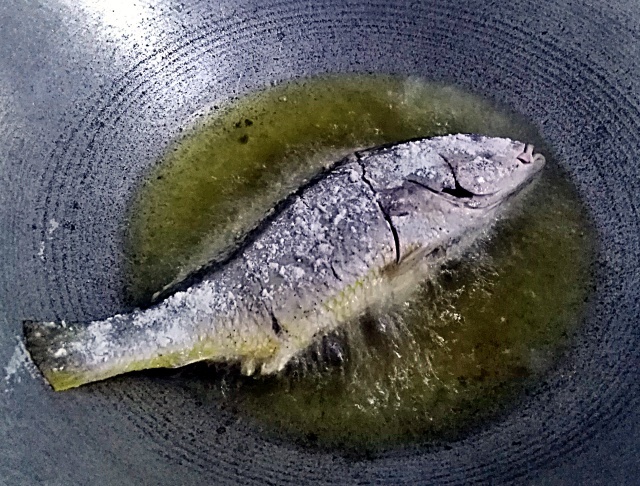 I guess, tilapia is a more affordable alternative. But believe me when I say that this dish is so much better with better fish. Yes? 1. 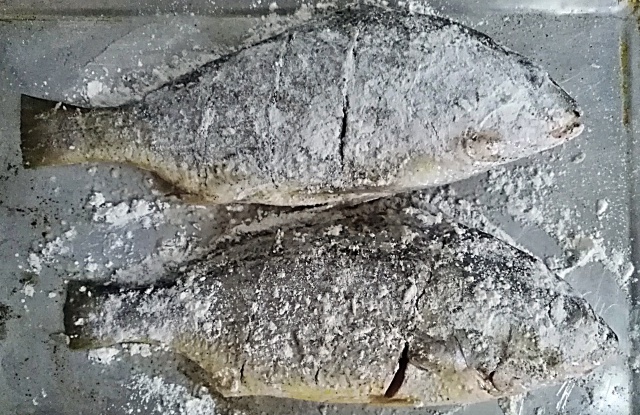 Dry the fish well with paper towel then season with salt and pepper. Sprinkle and coat with cornstarch. If you have a deep-fryer, better. But we're making it as healthy as we can so pan-frying is okay. 2. 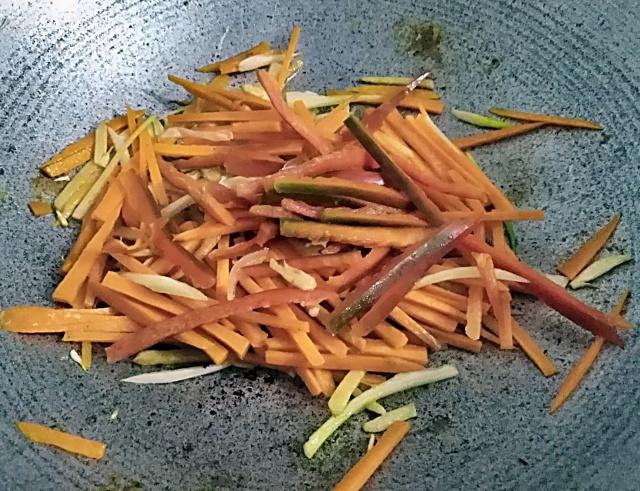 In the same kawali, discard some of the oil used. 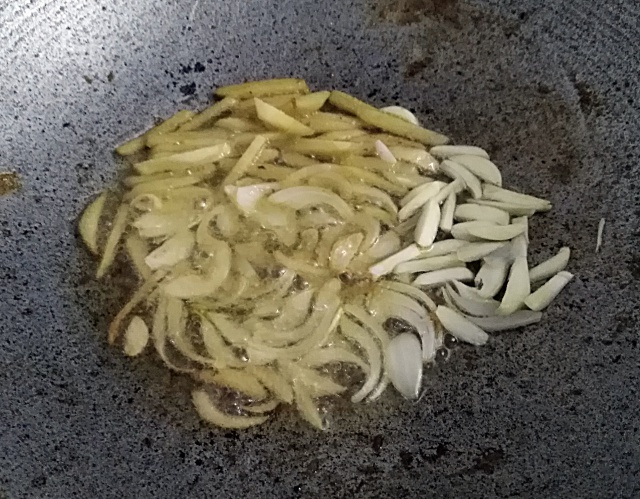 Saute ginger, onion and garlic. 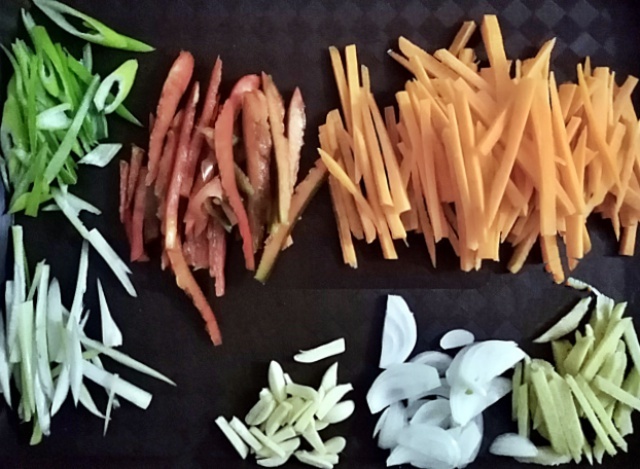 Then add carrots, hite part of leeks and bell pepper. 3. 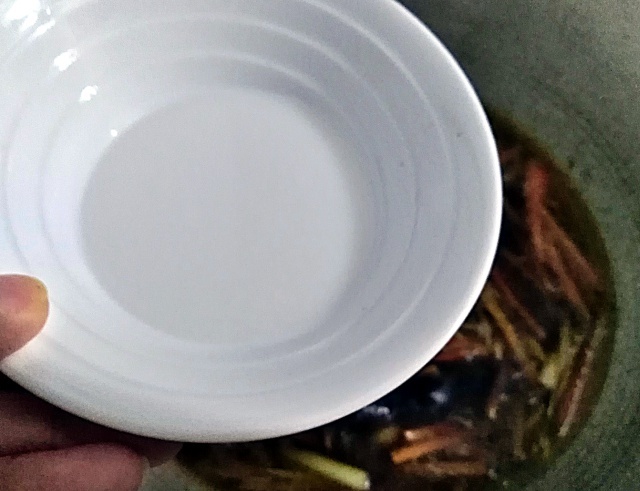 Pour water, vinegar and soy sauce. Do not mix. Cover and bring to a boil. 4. Add sugar and cornstarch mixed in water (it's called slurry). Stir well. 5. You can season it more with salt and pepper if you prefer. 6. 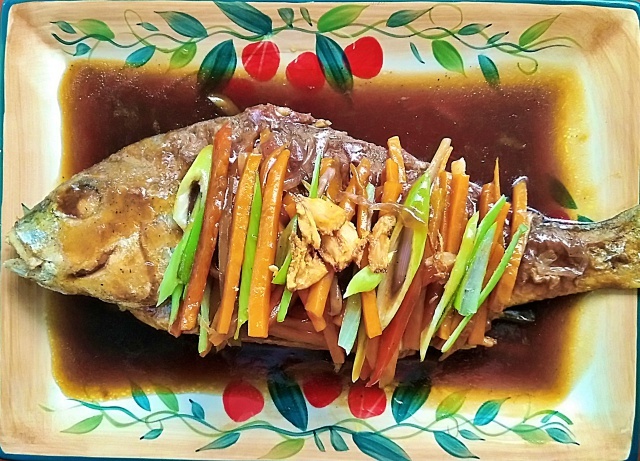 When plating, place the veggies on top of the fish and pour sauce while it's hot. Serve and enjoy!